Employers: Should Employers Be Suspicious of All Employees? How can you tell which are the trustworthy employees in your company, and which are potential thieves? The news is filled with stories of companies who have been victimized by seemingly great workers—the ones who are always on time, helpful and friendly, who are also skimming cash out of the register or taking merchandise home every night. Most business owners don’t realize they’re vulnerable until it’s too late. In fact, the Association of Fraud Examiners released a report stating that typically, employee fraud continues for 18 months before it’s discovered. Employee fraud affects more companies than you might expect. And since 87% of these acts are committed by first-time offenders, pre-employment screening won’t always help. That doesn’t mean it’s not necessary for helping employers determine whether a prospective employee is a good fit, based on criminal background and credit history. But it is possible for a person with a clean record to be hired, only to commit fraud on the job. Employee fraud might entail falsifying payroll records, embezzling from company bank accounts, taking a few dollars out of the cash register on a regular basis, stealing merchandise or helping other employees cheat the company by covering up their actions. How can business owners protect themselves from employee fraud? Should you be suspicious of all employees? No, but keep in mind the three factors that must be present for fraud to occur: motivation, opportunity and rationalization. Some employees are motivated by greed; others, by need. Know your employees. Listen to their problems. Does one have a child with a drug problem? Does another have a gambling addiction? Then, keep your eyes and ears open at all times to make sure your employees with motivation don’t have the opportunity to steal. Implement proper controls, such as dual signatures on checks. Keep tight controls on access to cash, and never allow the same person who counts the money to also deposit it in the bank. Finally, eliminate the possibility for rationalization. If you are skimming cash from the register yourself, what does that say to your employees? And what about the employer who brags about cheating on his or her taxes? Some employees who commit fraud think it’s okay to steal from an employer they perceive as “rich,” or whom they feel is underpaying them. This isn’t to say that you need to pay employees high wages to prevent stealing, but paying them fair wages—and never bragging about your own financial situation—can help eliminate the rationalization of thieves. If employees like and trust you, and feel respected and trusted, they are less likely to commit fraud. What if that new employee you just hired is not who he or she said she was? Or if a long-term employee is found to be an imposter? Every day, all across the country, employees are hired with fake drivers licenses. In some cases, employers knowingly hire illegal immigrants or other individuals with phony identification, but in most cases, the employer doesn’t know until something bad happens. Employers are required to complete a federal form (the I-9 form) and obtain two types of identification from new employees. Most often, they receive a drivers license and Social Security Card. Employers can call the Social Security Administration to verify a Social Security Number, but will only be told whether the card is valid and the name and SSN match. There is no way for an employer to know if the card or identity is stolen. Some employees are using phony drivers licenses or other identification to establish identity for a new job. Fake IDs are a big business. Dozens of online sources brag that they can help you establish a new identity, with a “real government-issued ID under another identity.” And the news is full of state Department of Motor Vehicle employees being arrested for providing licenses to ineligible citizens. Employers can partner with local police to learn how to spot fake identification, and about the latest trends in ID forgery. Fake identification is a real problem. 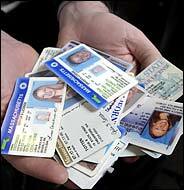 But increasingly, criminals and others with something to hide are obtaining real drivers licenses with fake names. In Minnesota, the Homeland Security Department is investigating 10,000 cases of possible fraud. 18 people were recently arrested and several have been indicted. One woman with a legitimate drivers license under a false name obtained a U.S. passport as well. She also once worked for the Minnesota Secretary of State’s Office, again under the false name. When Homeland Security gets involved, you know it’s serious. Hopefully, federal and state government agencies will help employers safeguard against individuals who apply for jobs using real, state-issued identification. They could be hiding criminal records, or other incidents in their pasts that expose employers to liability and potential danger. When hiring new employees, it’s imperative to conduct a thorough background check, credit check and employment verification through a trusted pre-employment screening service. Be alert, learn what to look for in phony identification, and always verify an applicant’s information. 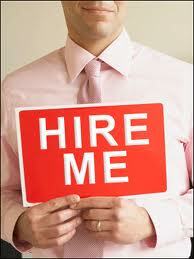 Are Your Employees Job Hunting While on the Job? Employees come and go; that’s just a fact of having them. But that doesn’t mean employers shouldn’t take steps to keep the good ones. Retaining good employees is good for business in many ways. It saves money on recruiting, hiring and training. It helps keep productivity high. And retaining good employees is good for morale. And then there’s the other side: is it fair for employees to search for new jobs while they’re at work? Should employers have to pay their employees to find a new employer? Obviously not. That’s why it makes sense to know the ways employees might be looking for new jobs while working for you. First, you might be able to interrupt a great employee’s job searching activities and find ways to keep him or her. Second, you can be open with job searchers and remind them they need to work for you—not look for work—while they’re on the clock. Check social media profiles: If employees are updating their experience, skills or recent accomplishments, it could be a sign they’re starting the job search. Pay attention: Look for changes in habits. Employees who suddenly wear dressy clothes could be interviewing, as could those who usually eat at their desks who are suddenly taking long lunches away from the workplace. If early morning interviews or coffee meetings are taking place, staffers who typically arrive at 8:00 a.m. might start coming in late. Look for a drop in productivity: For workers who use computers all day, it can be difficult to know what they’re actually doing. Is George preparing those budget forecasts or catching up with online networking contacts? Is Elizabeth preparing shipping documents or applying for jobs? If their work output is lower than usual, it’s time to check in. Job-searching employees who are more production-oriented may be away from their workstations more often, taking phone calls in private or borrowing other employees’ computers to check email or online job site activity. Monitor employee activity: Employers are allowed to monitor employee use of computers, Internet, email, telephone, etc. After all, you’re paying for the equipment, the utilities, and the building, not to mention paying the employees to be there. Do you really want them taking care of personal business—like searching for a new job—on your dime? Remember that what employees do on their own time (even interviewing on their lunch hour) is their own business. But if they let job-searching bleed over into their work time, it becomes the employers’ business.